The S4 Snowsport Fieberbrunn is the ideal starting point for relaxed winter sports holidays in Skicirkus Saalbach Hinterglemm Leogang Fieberbrunn. We offer the shortest way to the slopes, to the skischool meeting point and the kids area. Even skipasses can be purchased for the regular prize in the S4 shop. Benefit of the S4 advantage for carefree and stressfree holidays. The S4 sport shop directly at the bottom station of Fieberbrunn leaves nothing to be desired. Best equipment, from skis and board, with boots up to safety equipment, accessories, skipasses and many more. 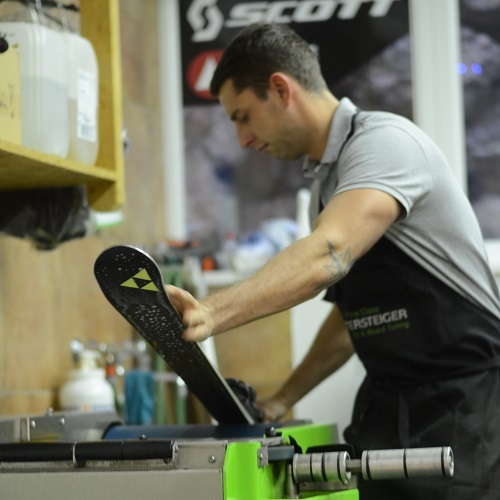 Latest ski boot technology, which succeeds to adapt the boot to the anatomy of any feet. A suitable ski or snowboard boot is fundamental for relaxed wintersport fun on and besides the slopes. We care about your problem feet and we increase your comfort with an adapted sole. 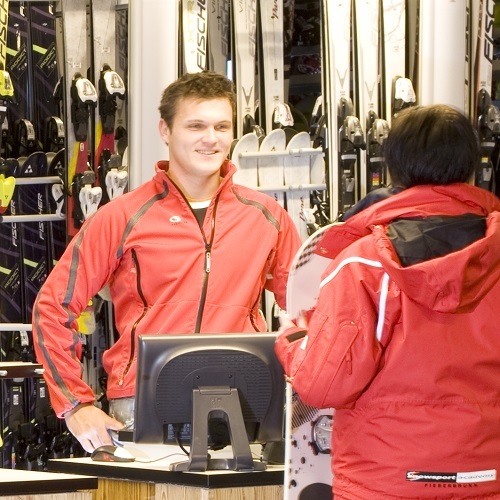 Our experts care about your winter sports equipement. 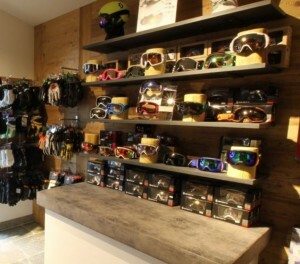 Bring your ski or board and shorten the waiting time in our shop, at our bar or in the S4 Alm.